Sarah and Scott came to me as doula clients. A sweeter, more loving couple I couldn't imagine. They were really good sports to let me photograph them on a surprisingly chilly June evening. The took me to Sarah's parent's house. 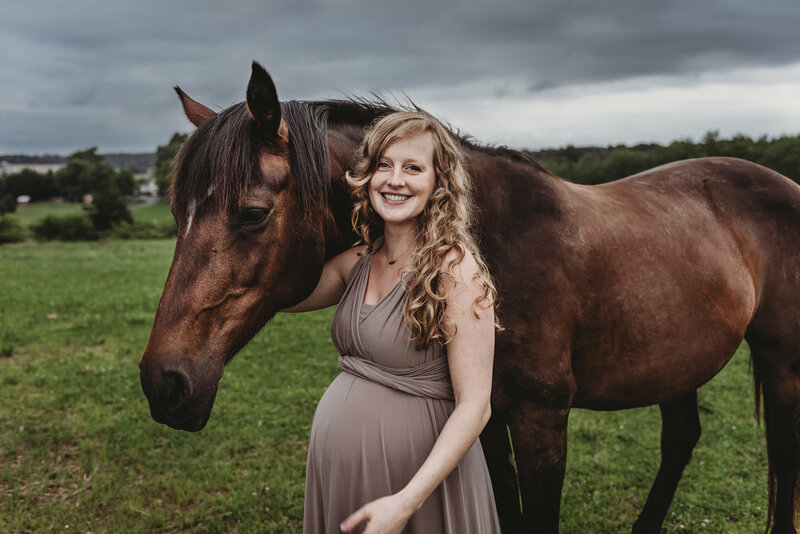 Not only was this a stunning location, it was also home to Sarah's horse Emma. 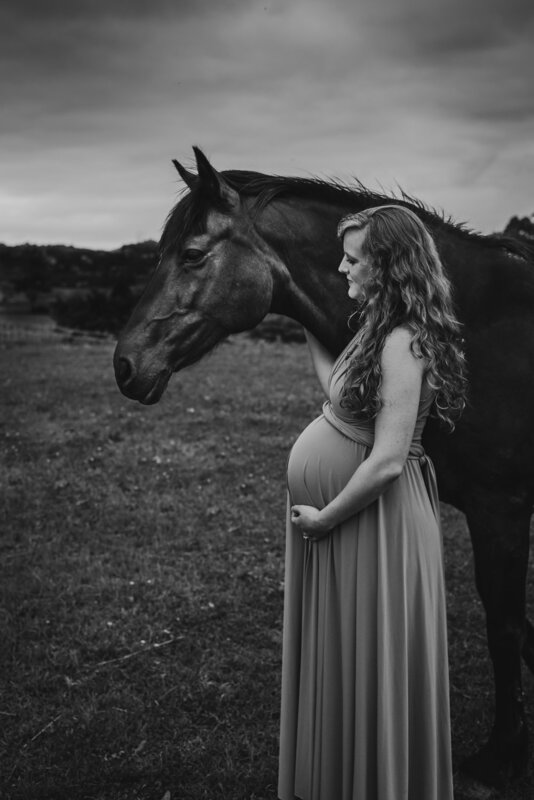 Y'all -- I wouldn't even be mad if all maternity sessions came with equine big sisters. In fact this land is just so steeped in meaning and history for them both. They showed me the exact location Scott proposed and the barn Sarah's father and brothers built just in time for Sarah and Scott to be married within it's safe walls. It was a honor and a privilege to be invited not only on this journey across their scared land and the story of their love, but also across the sacred landscape of their birth experience. A sweeter, more loving couple of parents I couldn't imagine.